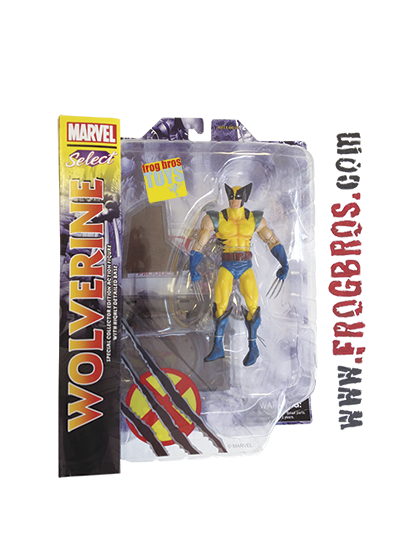 Bring home marvel's monstrous marauder with this all-new marvel select release featuring none other than wolverine. Depicted in his original x-men costume, this seven” scale release stands just less than six inches, features 14 points of articulation, and includes a deluxe weapon x base. Sculpted by Rudy Garcia, also be on the lookout for the two limited first appearance wolverine figures.